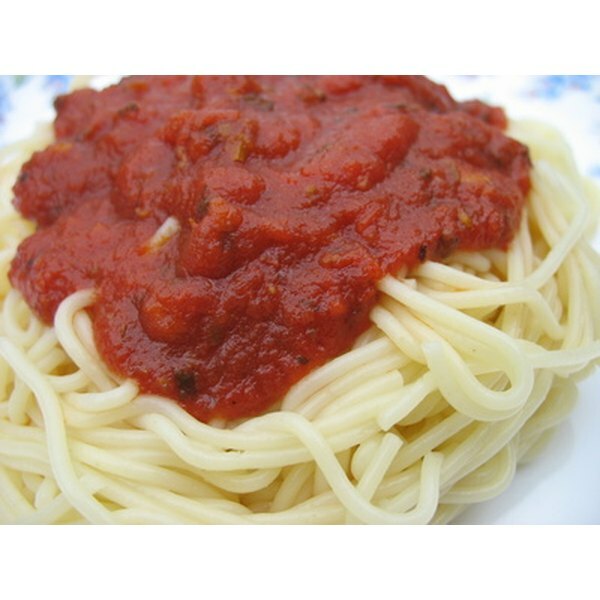 Properly store pasta sauce for delicious pasta dishes. 2 Can You Refreeze BBQ or Spaghetti Sauce Once It's Been Thawed? 4 Does Duck Sauce Need to Be Refrigerated? Proper pasta sauce storage tips can come in handy whether you have stocked up during a big sale at the grocery store or you just need to store leftover sauce. Pasta sauce comes in jars large enough for several smaller meals, so use any leftovers to avoid wasting food. Dropping fresh herbs such as rosemary, thyme or basil into the sauce can freshen up its flavor and add a little kick to your pasta dish. Leave the sauce unopened in its bottle to maximize its shelf life. Airtight seals make the sauce less susceptible to bacteria. Place the jar of pasta sauce in a kitchen cabinet, or anywhere that stays both dry and cool. Use by the "Sell by" date, usually located on the pasta sauce's lid or on the bottom of the jar. The manufacturer's date indicates how long the sauce will maintain optimal quality. Smell the sauce if you are using it after the "sell by" date. The sauce will stay good after the date as long as it hasn't been opened, according to the shelf life guide, "Still Tasty," but check to make sure it hasn't gone bad by using your nose as a guide. If the sauce emits a foul odor, don't eat it. Place an opened jar of pasta sauce inside the refrigerator after replacing the lid and securing it tightly. The Canadian Partnership for Consumer Food Safety Education recommends using the sauce within five days. If storing homemade pasta sauce, pour it into a food storage container and place it in the refrigerator. Pour the sauce into a freezer-safe container with a pull-off lid for longer storage. Freezing sauce will extend its shelf life to up to three months. Defrost the sauce by submerging the entire container in water. Once the sauce softens, pour it into a pan to heat.